Now...on to what I haven't accomplished. 1. have not gotten to sewing any part of the Postage Stamp Quilt along that was over Feb 1. I do have my fabrics and they are separated. I have not sewn a stitch. 2. have not started even picking out fabrics for January's bag for the Bag Stitch along and it's feb. Oy. I will do both. 3. 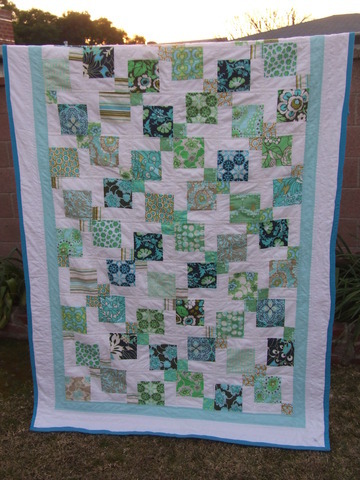 Have not picked out a quilt pattern for my nephew born in October. have the fabrics tho. 4. Have not picked out a quilt pattern for a friend's baby born last week. Haven't planned work shower either. Working on both. 5. Have not finished quilt for the dude's boss who is having a baby in a month or so. 6. Have not finished shopping cart cover for punk. And the list goes on. *sigh* I have a LOT of work to do! 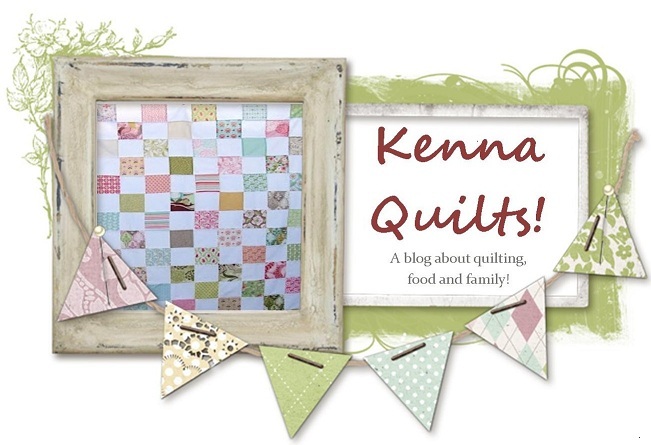 I use a lot of white in my quilts too. The disappearing nine patch looks very effective with white.